These flowers were in Robin M's garden. Aren't they beautiful! Have a great day! Take time to stop and smell the flowers! I love this new Texture Impression Embossing Folder. I cased this card and absolutely love the layout! I thought I would be in Hawaii, doing classes, organizing classes, posting every other day...then water hit my laptop. It got wet from a bag of ice sitting on top of a closed laptop! OOPS! So now I am posting when I can find a place with a computer available. Sorry! I did a swap before I left for Hawaii. Here are the cards received! Aren't these cards fabulous. Have a great day! I have wanted this Stamp set ever since I saw it a couple of years ago! I hope you don't get tired of seeing cards made from this set. Please share your Open Sea artwork with me...I would love to share it with others on my blog. When we were coming to Hawaii for a much needed vacation, I asked if there was anyone on the Big Island who would want to stamp for a day. Robin's name came up and I wrote and asked her if I could share the day with her. I didn't know we were 2-3 hours away from each other but I wanted to go anyway! We drove along wonderful scenery; through lots of different types of weather; through different types of climates...this was just on one Island. Finally got to Robin's house and what a wonderful place. (I will share more pictures later.) It's amazing that two strangers can meet and talk for hours. 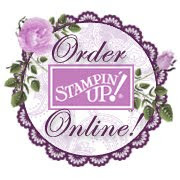 I love stampers! Meeting Robin and stamping with her has been a highlight! I recommend doing this! Here are the cards we made and the picture we took at her fabulous place. Thank you Robin for a great time and a new friend! Mahalo! I get so nervous in front of a camera/video...it takes me forever to make one. This video I did over 3 days and I still couldn't get the camera in focus! Enjoy and please share your Adhesive Reels with me! Please check out the new catalog! If you want me to send you one, please email me! During June, new demonstrators not only get to choose the products for their fully customizable Starter Kit, they'll also get products from the brand-new Patio Party Suite for FREE, including the Make a Cake Set, Patio Party Designer Series Paper, and the Patio Party Digital Collection DVD! That's up to $48 in additional FREE products! 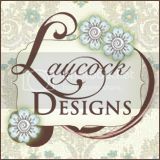 So many new stamp sets, and lots of returning sets as well as new Designer Series Papers, fabulous buttons (clear faceted buttons), great new ribbons. And new In Colors: Gumball Green, Raspberry Ripple, Summer Starfruit, Primrose Petals, Midnight Muse. Today my card uses two new products, Floral District DSP, love the brightness of this pack. T he stamp set, Bright Blossoms a set which has a retro feeling to me with its flowers. For this card I stamped the vase after inking it up with my Rich Razzleberry and Gumball Green markers and the used a Pumpkin Pie flower button for the bloom. Click here to check out the new catalog. EMAIL ME NOW!